I hope our GirlMuch readers have been well since our last exclusive Q&A Interview feature on this platform. 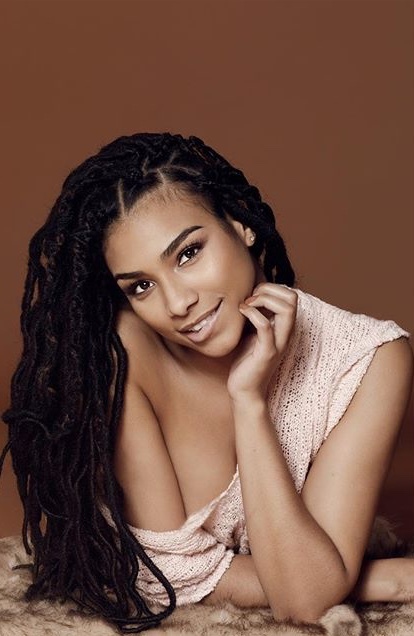 I wanted to introduce to everyone today the stunning Model-Singer-Dancer/ Actress/ Reality Show Contestant/ Hair Stylist-Cosmetologist, &, “Musical Theater”- Howard University attendee & Aveda Institute graduate, Ms.Erica Franklin. Erica is 28 years old from Chicago, IL, & someone I’ve known thru the grapevine of the industry for quite some time now. 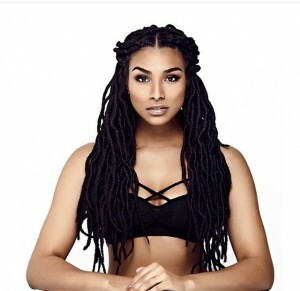 Over the past few years she has been shifting culture in “Fashion & Beauty” via her modeling, & professional business endeavors. That’s why I felt compelled to bring her efforts to the forefront of GirlMuch, & high light one of the hardest working models in today’s industry of rising power players & fresh new faces! (DP) : How did you initially connect with Mr.Teddy Gilmore, & get into the world of party promotion? (Erica F.) : He actually found me and my group of friends on social media and reached out to us. At the time we were really into the social scene and he showed us the ropes. (DP): What made you want to become a model, & how did you decide what type of modeling you would do? (Erica F.) : Ever since I was a kid I have been in entertainment. As a child my mother decided to nurture my interest and took pictures of my sister and I and submitted us to agencies. As a model it is important to find your niche. You have to have a very frank conversation with yourself and decide where your look fits best. After being in this industry for a while, I finally came to the realization that commercial modeling is for me. (DP): How did you initially connect with Lilly’s Talent Agency? (Erica F.): If you are serious about modeling/ acting, its important to get signed to an agency. Not only will you be submitted for professional jobs, agents are also able to negotiate higher prices for you. When I was shopping around for an agent, I submitted to a good amount of agencies that seemed to suit me. Having a few options. I decided to sign with Lily’s Talent in Chicago. I really liked that Lily’s is a minority owned agency. (DP): Who is Crowezilla ,& how did you two end up connecting? (Erica F.) : Crowezilla is Shani Crowe. She is a friend from College (Howard University) who has always been very talented in different realms. (DP): How did it feel being featured in Glamour & Kiss Magazine? (Erica F.): I’ve been in many magazines but I got really excited that Glamour mentioned my name in the article! 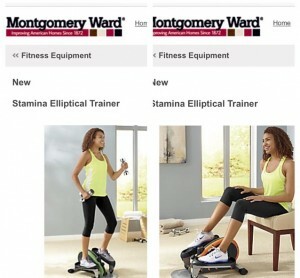 (DP) : Was that your first time being featured on Groupon/Groupon-Chicago Ad? 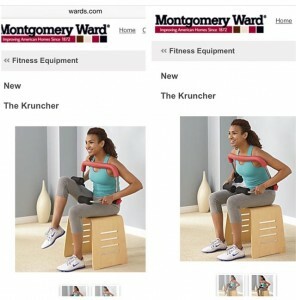 (Erica F.) : I have been shooting with Groupon for years now. Its always fun when someone spots me and sends me a screen shot. 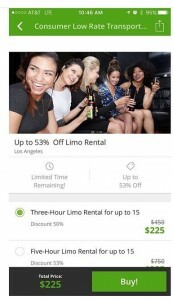 I actually also do the hair for Groupon photo shoots now and then. (DP): There is a viral pic going around (Finger Wave Saint shoot) of Solange looking like she styled herself with inspiration from one of your shoots? Do you feel that is the case, & how did this all come about? 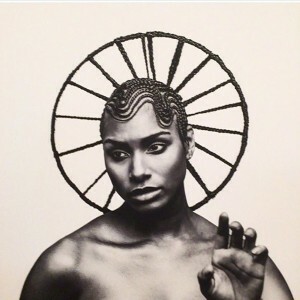 (Erica F.) : Solange reached out to Shani and specifically asked to look like the Finger Wave Saint picture for her SNL performance. I was so geeked! 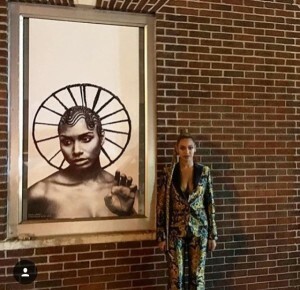 (DP) : Tell us the backstory of how Beyonce was photographed next to your “Finger Wave Saint” portrait? 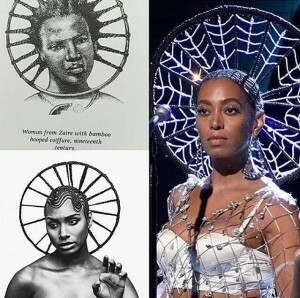 (Erica): The MOCADA Museum in Brooklyn featured Shani’s “Braids” exhibit and Beyonce posed infront of my picture! 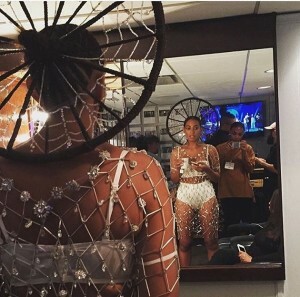 I’m guessing because that’s the look Solange had for her performance. (DP): How was it working the Chicago Auto Show this year, & what did you do there? (Erica) : I worked for Mazda at this years auto show. It’s an extremely long show going for 12 days in a row. 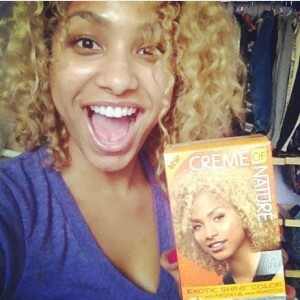 (DP) : How was it doing a shoot for the Creme of Nature box? 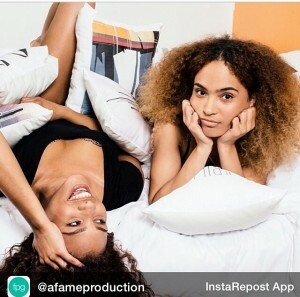 #RP @skorpionent throw back of my #cremeofnature box color photoshoot. I do miss being a blonde! (Erica F.) : The Creme of Nature shoot was definitely an experience. I didn’t expect them to make me a blonde so I came out literally feeling like a new woman. (DP): How was it seeing your “Finger Wave Saint” shot featured on the hit show Empire? 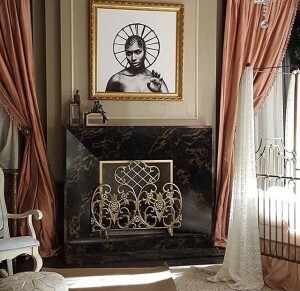 (Erica F.) : The show sent me an email prior to putting my picture on the show so it wasn’t a complete surprise but it was still really amazing seeing it during the season. (DP): How did it feel being Jet Beauty of the Week just like your grandmother in the past? (Erica F.) : It was definitely an honor being Jet Beauty Of the Week, especially right before they sold the magazine. My Grandmother got a kick out of it! (DP): Can you give us a few notable brands you’ve shot/modeled for? (DP): How was the experience of shooting for Gatorade? (Erica F.) : Shooting for Gatorade was very tough. It required so much REAL athletic ability and strength. I went a little too hard in the beginning and was really exhausted towards the end. I actually popped a blood vessel in my eye that I didn’t even notice until I left the shoot. (DP): How was it attending J.Cole’s HBO Homecoming Special? (Erica F.) : I actually worked the event for a friend’s company called OMG Booth. The attendees really enjoyed the event. 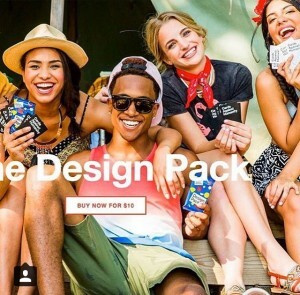 (DP): What is Cards Against Humanity, & how did you get involved w/ that campaign? (Erica F.) : It’s an Adult card game. Its very inappropriate and hilarious. Like all of my modeling jobs I got booked through my agency. 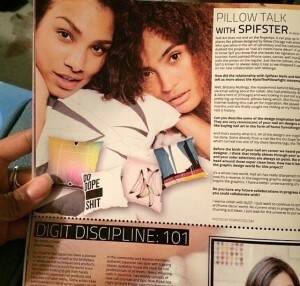 (DP): Tell us more about the pillow talk with Spifster Store feature? 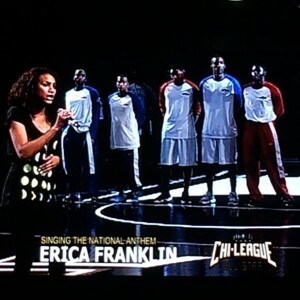 (DP): How was it singing the national anthem for the Chi League All Star Game? (Erica F.): Singing for Nike in general was such a cool experience. I was working chi league and noticed they didn’t have anyone singing the anthem, so I took it upon myself and asked if they were interested in a singer, and ever since then they will call me when they need me. (DP): Tell us about your experience meeting Sinbad at a Barbara Bates Foundation event? (Erica F.) : I attend a lot of Barbara Bates events because she’s a friend of my moms and a breast cancer survivor like my mom. It was a great event with many celebs in attendance. 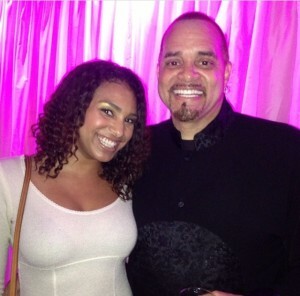 Sinbad was very nice and personable. (DP): Tell us about the music side of your career, & the single release of “Can We Go” w/ Level Next Music? (Erica F.) : Singing was actually my first talent. I would definitely like to do more singing, but in this industry you never know what will take off. I just so happen get more modeling jobs than anything else at this moment which I’m not complaining about. (DP): How did you end up connecting with Ludacris? 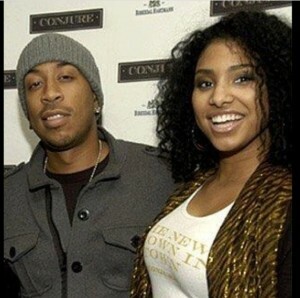 (Erica F.) : I used to work for Luda’s cognac company. He was very hands on when it came to his company and was very appreciative of our work. Chicago was the top market for his liquor so he came around quite a few times. (DP): You were featured in an NFL commercial & Chicagolicious!? Tell us about those experiences. (Erica F.) : Chicagolicious was just a fun time. Especially being in the beauty world it was fun to be on Chicagolicious here and there and chat with the cast members. Ive been on two NFL commercials, one for a clothing line called “NFL47”, the second was a commercial featuring Billy Dec which was really fun! That commercial was basically just a party at Underground. (DP): How was the experience of being a featured contestant on NBC’s “Get Out Alive” with Bear Grylls? Check out @vanessa_vazquez1 and I on the new hit NBC reality show airing July 8th #GetOutAlive spread the word! (Erica F.) : OMG Being on Get Out Alive was definitely a once in a lifetime experience. You never really think you’re going to get chosen to be on a reality show. Now I used to watch Bear Grylls on TV all the time. I low key always wanted to be a “survivalist”. Being on a reality show is definitely something different. It’s weird having cameras on at all times and also not knowing when the cameras are on. We shot in New Zealand so I loved adding that to my list of places I’ve traveled! (DP): How did you end up working with the Bulls Sox Academy? (Erica F.): I am a brand ambassador through various companies. Bulls/Sox academy was another company looking for ambassadors. We worked with kids at both the United Center and US Cellular Field and held fun programs for them. 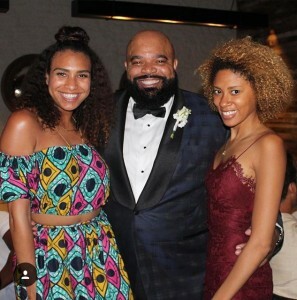 (DP) : How did you end up connecting with Raymont Harris? (Erica F.) : As a brand ambassador you work different conventions and trade shows which sometimes have celebrities show up. Raymont Harris was signing autographs at the booth I was working. (DP): Do you feel studying Cosmetology and Musical Theater paid off in terms of success with your brand? (Erica F.) : I’m so glad I’m a cosmetologist. it allows me to keep working and remain flexible for auditions and castings. musical theater has literally prepared me for everything I do today. I’d definitely say its all paid off but I’m still reaching for bigger and better! (DP): Can you give us the lowest & highest points of your career thus far? (Erica F.) : In this industry, you’ll feel “at your lowest” very often. If you having been getting auditions, if you haven’t been landing gigs you may feel like you’re at your lowest. With that being said, you will feel “at your highest”, when you land something you worked hard for! (DP): Why is Ruthie Davis one of your favorite shoe designers? 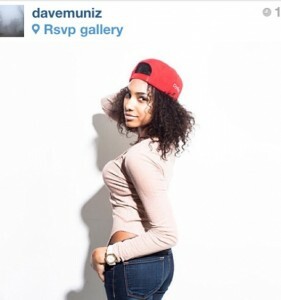 (Erica F.) : I’ve been following Ruthie Davis since she had like 4k followers. I’ve always loved her designs, & I have 4 pair of her shoes. Now she’s HUGE and celebs are wearing her shoes. She’s my friend in my head. (DP): What type of dancer are you? (Erica F.) : I’m a tap dancer. I haven’t danced professionally for a while though since I got more modeling and acting opportunities. 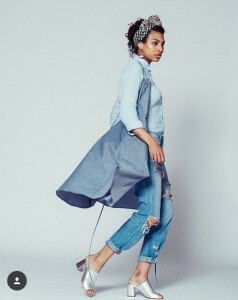 New editorial by @mrcreatistic releasing today!! (DP): Any advice for any upcoming models trying to break into the Industry? (Erica F.) : You have to be strong mentally. as I said previously, you’re going to have lows. MANY lows. You have to be able to remind yourself that you won’t always be low. There are always going to be more opportunities. Also, i think when you have a dry spell, its best to use that time to perfect your craft. Take an acting class, a singing lesson, go work out, just be productive. (DP): How did you end up meeting Oprah? (Erica F.): I was a hair model for Oprah’s stylist, Andre Walker who was releasing his new hair care line. 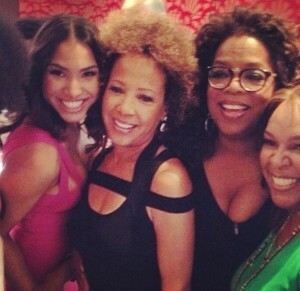 None of us knew Oprah would show up so we were all extremely excited to meet her! (DP): What’s next for Erica Franklin? (Erica F.) : What’s next for me? hmm although I appreciate all the opportunities that have come my way, I would like to do more acting. I’m trained in musical theater, so I would love to get casted in a musical, or a part in a film. perfect my craft and submitting to multiple agencies in different states. I am now represented in Chicago, Milwaukee, and Atlanta. I am working on Miami and LA right now!